Sunday in Brooklyn's Jaime Young explores Turkey’s eclectic city with a local chef. Jaime Young is the executive chef and partner of Sunday In Brooklyn, a beloved Williamsburg mainstay, which he co-owns with Todd Enany and Adam Landsman. The trio’s bustling three-story restaurant near Domino Park draws perennial crowds with oozing maple cheddar biscuits, tall stacks of malted pancakes and seasonal cocktails (like “Ugly Sweater Weather,” “Ski Lift” and “Dude, Where’s My Sled?”). From browsing fresh bonito at the market to the beauty of the streets themselves, Young fell in love with Istanbul’s enchanted way of life and exceptional food. 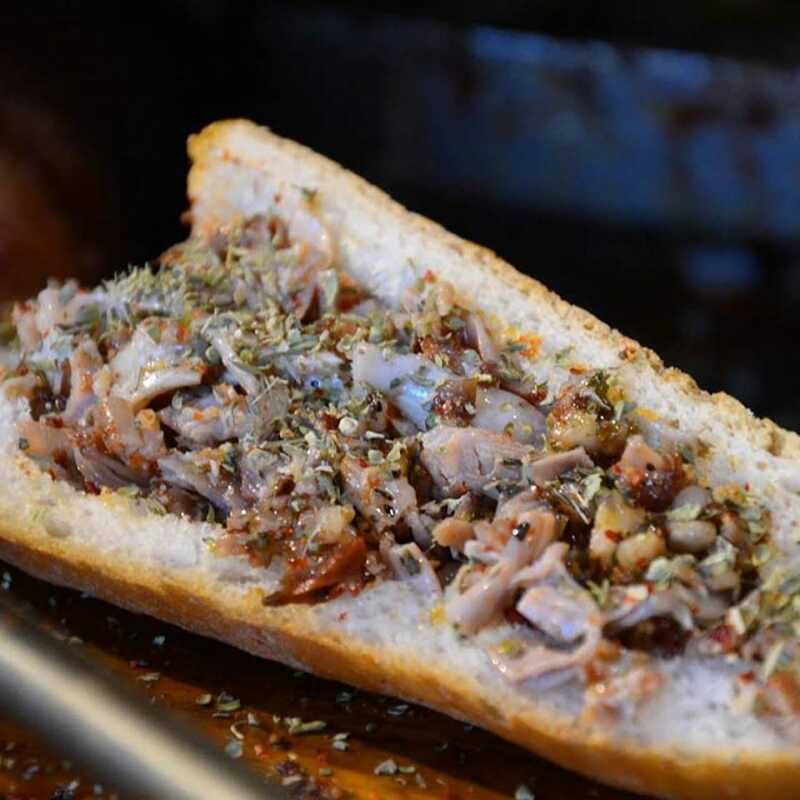 For breakfast, he recommends you keep your eyes open for flatbread “with minced lamb baked in wood-fired ovens and served with sumac and dried herbs.” For lunch, Young recommends Kral Kokoreç, where the best order is a spit-roasted lamb intestine sandwich. “The flavor is rich and gamey and it has a crispy texture,” he says. Of his favorite adventures in the city, Young recommends heading to the famous Galata Bridge, “where fishermen go every day and catch mackerel and rockfish.” He also recommends visiting the oldest candy shop in Istanbul, Ali Muhiddin Haci Bekir, where “they have been making Turkish delight, halva and other candies for the palace for a very long time.” If you’re ready for a drink, lead your group in a round of Yeni Raki, an anise-flavored liquor that turns cloudy when you add water. Marguerite Imbert writes about restaurants and global food trends for the MICHELIN Guide website and elsewhere. The New Yorker and foodie enjoys writing and testing recipes and encourages everyone to cook without them. Ralf Schlegel recommends his favorite places in the picturesque border region of Southern Germany. Dieter Samijn of Bar Boulud visits the famous party island for the best fish soup he’s ever had.